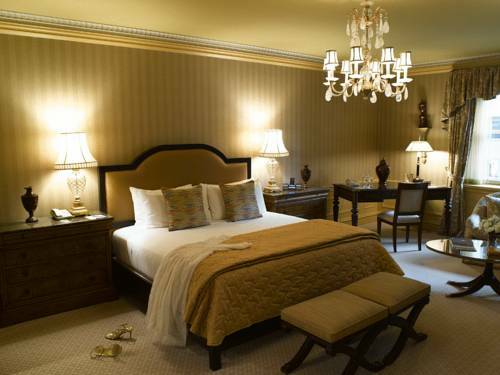 The Sherry-Netherland boasts luxurious guest rooms and suites/ all individually decorated/ with high ceilings/ marble bathrooms/ and generous closets. All rooms come with complimentary wireless high speed internet access/ a welcoming gift of Belgian chocolates/ fresh flowers in the rooms/complimentary sodas and mineral water. On Fifth Avenue/ alongside Central Park in the heart of Manhattan*s most fashionable shopping district. Harry Cipriani is a famous meeting place for high society and icons of business and the arts.